Pikmin 3 launches in Europe this week and hits North America at the start of August. If you're an avid follower of the site you'll be aware that we've already passed judgement, awarding a 9/10 score and showering it with plenty of praise. To tide you over until the launch date comes around we've captured some direct feed footage of the game's Mission mode, where you fight against the clock to collect fruity treasures or battle enemies. You can check out the videos below, and don't forget to subscribe to our YouTube channel while you're at it. how come you use the gamepad i thought wiimote + nunchuck was the best option? @TOMBOY25 Just because it's the best, it doesn't mean they have to use it. Urgh.. need to get a Wii U. @Spuratis Do it... do it now! I purchased my download copy last week at Gamestop... Reggie says I can download it on Aug 3rd, but Gamestop employee told me Aug 2nd.... hmmm who to believe? @LordGeovanni That was me playing using the GamePad, which is why it looks a little clunky. The Wii Remote and Nunchuk provide a more "fluid" experience. @Spuratis - Target is offering a $50 GC w/ the $349 Deluxe (don't think Target even sells the Basic anymore, didn't see it at Kmart today either) starting Aug 4 if that helps (if you're in the US). I'll be buying 1, then using the GC for Pikmin 3. It's been my plan for months now, I'm glad Target has held up their end. @Damo - Is it possible to sort of play 2 player using the Gamepad w/ nun-chuck-remote? I'm wondering if my kid can take pictures and mess around w/ the Gamepad while I'm actually playing NPC style? Or is it going to annoy me too much? I'm thinking I can tell him - "take me to Aleph" or "take me to Brittany" and he can hit them on the screen and take me there, so he'll really be more a slave second set of hands than his own player. It worked w/ Galaxy. @rjejr You can use GamePad, Pro Controller or Wii Remote + Nunchuk - but the players each control a different commander. This game is not even selling well in Japan. Sales dropped bigtime, so by word of mouth not many people are recommending it to friends. Steam games will tide me over til something better(have plenty of those and can get 20+ games for the price of pikmin 3 alone). Look at this for $6, http://www.indiegala.com/ a buncha of awesome top down shooters in there and other nice stuff. @rjejr Thanks man, but unfortunately I'm broke right now.. I'm probably going to try and wait until around black friday. That way I might actually have some money to spare and hopefully a better sale. @GamerJunkie No offense, but we get it, you think steam and indie games are the almighty savior of these oh so overpriced retail games. Ah, thank you. I see that I will be training a whole lot to be good at this game with the GamePad. I am expecting to play almost all the games that I get with it. You know, to really immerse myself in the new system. Sales go down the second week out and you are shouting doom and gloom? Big deal! 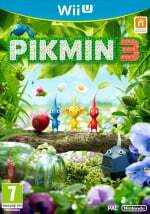 I am getting a Pikmin game! @GamerJunkie Call me old fashioned, but I'd rather pay $5 for Zanac, $6 for Soldier Blade, and $8 for M.U.S.H.A. than $6 for an endless supply of alternative top down schmups. I'll play any game I can get my hands on, but I've yet to find any other shooters that are as endlessly addicting as Zanac, as immediately gratifying as Soldier Blade, or as reliably satisfying as M.U.S.H.A... So it's a pretty hard sell when you put a collection of nameless, faceless shooters against even a singular Compile release from my diaper days. Either way, lack of worthwhile retail releases or not, it's a sore spot for me too. Difference is, I just really need a rapid expansion of the VC for a multitude of reasons. Yet once again we see a pattern of withholding, as if we are but children fiddling with our toys. Yeah, we deal with it; though, it's not much different than kicking around leaves when you know the important, pressing matters that your parents don't. Please, Nintendo... Please.